When New York YIMBY took this early round of construction photos back in 2016, the ARO tower was still best known as the replacement for the iconic Roseland Ballroom. 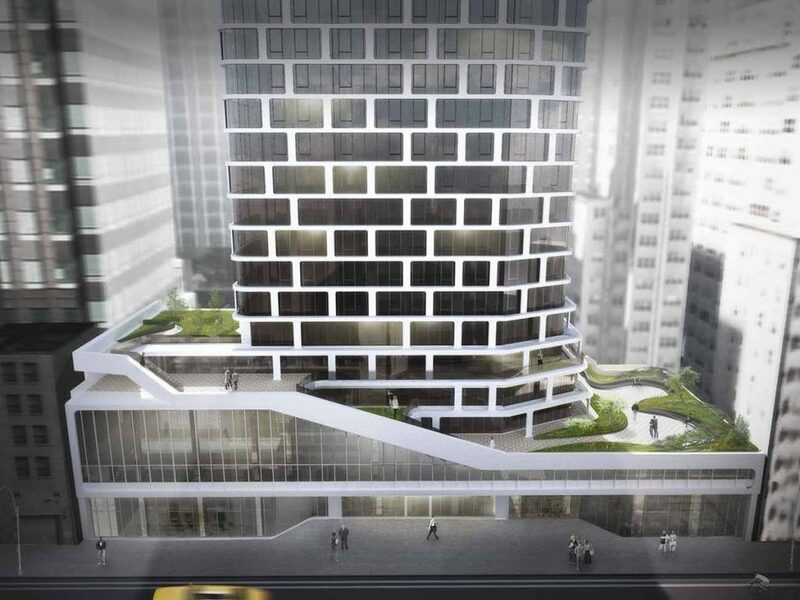 Now, that stretch of West 52nd Street is the location of a 62-story modern residential tower with a glass and white-aluminum facade that is quite different from its conservative brick surroundings. ARO is a collection of 426 no-fee Midtown West apartments ranging in size from studios to a four-bedroom penthouse and featuring luxury interiors bathed in natural light from floor-to-ceiling windows. Master baths are clad in Carrara marble, and floors are solid oak. Residents will also enjoy access to 40,000 square feet of amenities.